Looking to try new, healthier meals in the new year? Consider experimenting with kale. It’s a tricky green, but it doesn’t have to be. In its raw state, kale is rough, tough and requires a lot of chewing. Not your type? No worries. There are ways around it. Here are a few tips to mastering a kale salad. 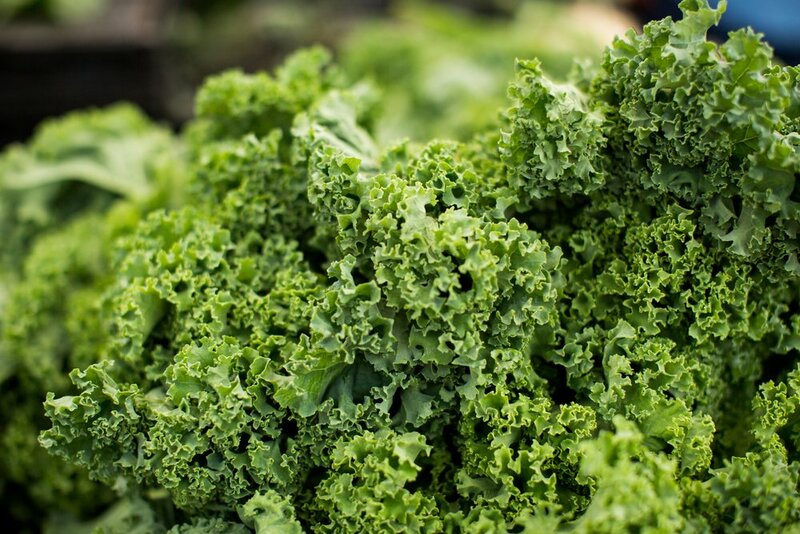 Wondering what the hype surrounding kale is? It’s a cruciferous vegetable, which means it is rich in vitamins C, which is good for healing E, which is good for skin and K, which helps with blood clotting. The veggie also serves as a source of fiber. According to the The National Cancer Institute, the vegetable has been used in studies when it comes to fighting lung and breast cancers among others. When you go shopping, it’s good to have a background of the different types you might find. Curly kale is the most common. It can be identified by its rough texture and curly leaves. Scarlet kale is similar except in color, as it has a dark purple-red color to it. Tuscan kale, also known as Lacinato, comes with bumpy leaves, and baby kale’s smooth leaves give it away. There’s no right or wrong, so don’t be afraid to experiment with different kinds. Prep time: 15-30 minutes, depending on preference of taste. Step 1: Prepare any protein to your liking. Blackened chicken or a spicy tuna will add a little bit of flare. Keep it vegan by adding tofu or consider a vegetarian option. Once it’s ready, place it to the side. It will be needed later on. Depending on the desired level of kale tenderness, this step can be completed after step 5 instead. Step 2: Use a colander to thoroughly rinse the kale. Once the water is drained, take each piece of kale and remove the hard stem running down the middle. It’s got to go. Transfer the leafy parts to the bowl. Hold on to the colander as it might be needed down the line. Step 3: Coat the kale leaves in the olive oil. Make sure the leaves aren’t drowned but make sure they are covered. Add lemon juice and salt. Step 4: It’s time to play with your food - literally. This is going to get messy, so be prepared. Remove any rings or bracelets and roll up your sleeves if you haven’t already done so. This will sound strange to those new to kale, but it’s necessary to massage the kale. Yes, massage it. Scrunch it, squeeze it, and get to know it. There’s some sort of scientific reasoning behind massaging kale to make it more tender, but we won’t get into that. Add lemon juice to the mixture. Massage until the leaves are evenly and well coated. Step 5: After about five minutes, it’s safe to stop. For now. Not super hungry? Have some free time to spare? Cover the bowl and leave it to sit in the mixture. This will allow it to set in. The more the leaves are massaged and the longer it sits, the more tender your final salad will be. Step 6: Ding! Time’s up. It’s almost time to eat. Feel free to rinse the leaves free of the olive oil-lemon juice mixture in the colander. Add in protein, black pepper, garlic, and any other seasoning. Consider combining with other vegetables including lettuce, onions or carrots. Croutons and cranberries also make great additions. Toss with dressing.